65% of surveyed consumers said that they’d consider using messaging to connect with a business to get information, or to schedule an appointment. Of course they would. They likely used their phone to their to find you, so why wouldn’t they want to take the next step? 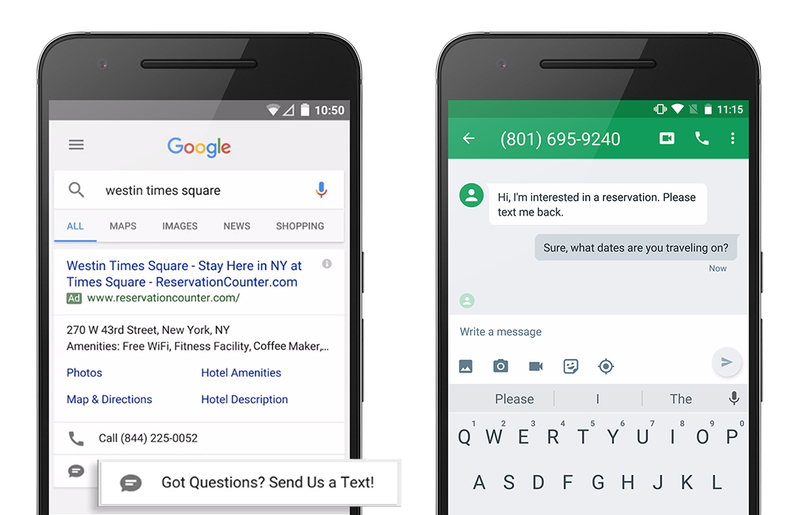 Google recently announced their Adwords’ Click-to-Message ads would be rolling out over the next few weeks, and you will be able to access them by setting up a message extension. “The results from click-to-message have been phenomenal and we’ve seen an 80% higher conversion rate when compared to other similar channels,” said Gavin Parker, Paid Search Manager of Auto & General. We shouldn’t have to tell you that making yourself more accessible is never a bad thing. If your business has used, or is currently using, call extensions in your ads, you may be interested to learn that the text extension showed even better results, among the early adopters and testers. We can help you leverage click-to-text functionality into your Adwords, and send your ROI skyward.